Have a look to see what classes we offer below. Once you know what we’re made of and are ready to join the family start with our $29 Health Check! Round 1 Fitness offers more than Eighty (80) group and small group sessions each and every week. Our first class of the day commences at 5am (weekdays) and our last session at night commences at 8pm. 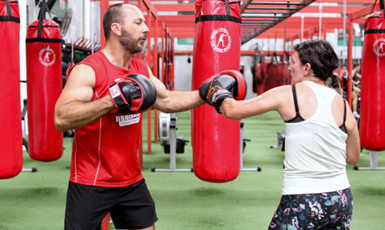 'Boxing', 'Body Work', 'B+' and 'Beginners' classes are included in a Round 1 Fitness 'Boxing' membership - 'Tanks', 'Developing Athlete', 'Functional Fit' and 'No Rules' are included in the Round 1 Fitness 'STRENGTH' membership. Our members do NOT need to book in for classes. 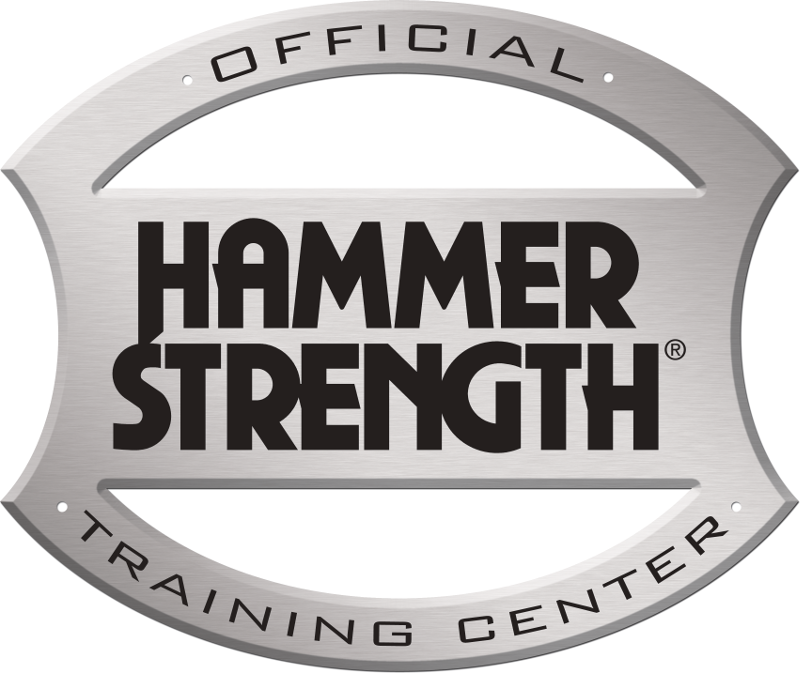 Click on the links below to view more information about the class. Amazing gym with even better trainers! Workouts are holistic and everyone is so accepting! Came here during recovery from illness and each and everyone of the trainers were super supportive and helpful. Could not recommend more! Pack your gym bag with a pair of boxing gloves, a couple of pairs of hand wraps, a gym towel and a water bottle. If you are missing any of that gear, don’t worry – it is all available from the gym. If you need to hire gloves, those are available as well for just $2 per session. 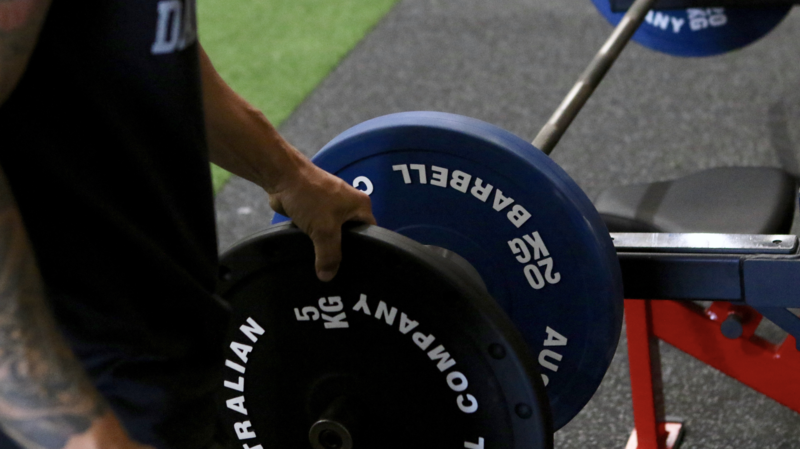 When you get to the gym you will see people with a whole collection of gear in their gym bags – knee sleeves, weight belts, gymnastic grips, lifting chalk, skipping ropes…it goes on and on. In time you might also want to have ‘your own’ but when you are getting started the basics will do – Boxing Gloves, Hand Wraps and a Towel. Our sessions START and END on time. Our clients have lives and we are grateful for their time. Our coaches will focus on the group/client assigned to them exclusively. They will not use their phones (except as a timer if needed) and will keep conversations limited to those who are part of their training group. One exception to this rule is to assist another client who might be doing something that will result in injury. Our coaches are INVOLVED. We are not rep counters: we are professional coaches. 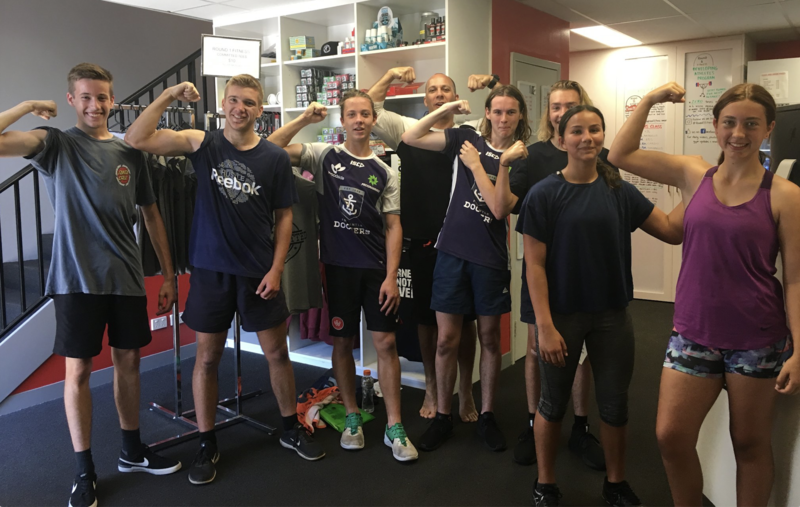 We look to continually engage with our clients when they are training and assist with their movements, focusing on correct technique and continuous improvement. We don’t stand with our arms crossed acting as if bored. We don’t sit down on the floor cross-legged counting reps. We don’t lean on equipment while coaching – we pay attention, coach closely and offer guidance and feedback. Our goal is to stay connected with the client for the duration of their session.